We read a LOT of books. Reading is one of the first things we do in the morning and one of the last things we do each evening before bed. We met young Harry only recently. His love for his dinosaur friends was contagious from the very first reading! We have revisited and joined him on his journey many times now. ‘Harry and the Bucketful of Dinosaurs‘ by Ian Whybrow and Adrian Reynolds is a story with many layers. It begins with Harry finding an old box of dinosaurs when helping his grandmother clean out her attic. He repaired the broken ones, cleaned them and then popped them into his bucket as a felt that a box was no place for them. He learnt their names and took them everywhere with him. Occasionally, Harry would lose one but would find it again. That is until one day when he took a ride on a train. Harry had left his bucket of dinosaurs on a train. They were lost and he was most upset. His grandmother tried distracting him from his sorrows by giving Harry a new video. When this proved unsuccessful, they ventured back to the train station to see if the bucket of dinosaurs was at the Lost and Found. Upon proving his ownership by reciting their names, Harry’s dinosaurs were returned to him. There are so many conversation starters in this book. Each time we read it, there is something new to discuss or point out. The first time we read it, we took advantage of the illustrations on the inner covers. 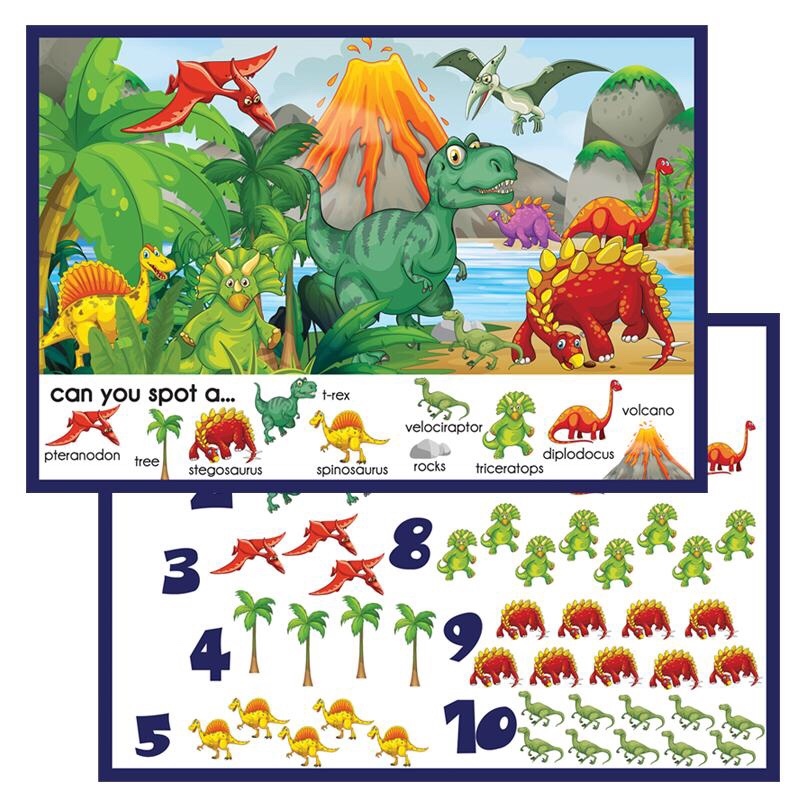 There are fun dinosaurs with their scientific names plus pronunciation prompts (thank goodness!). 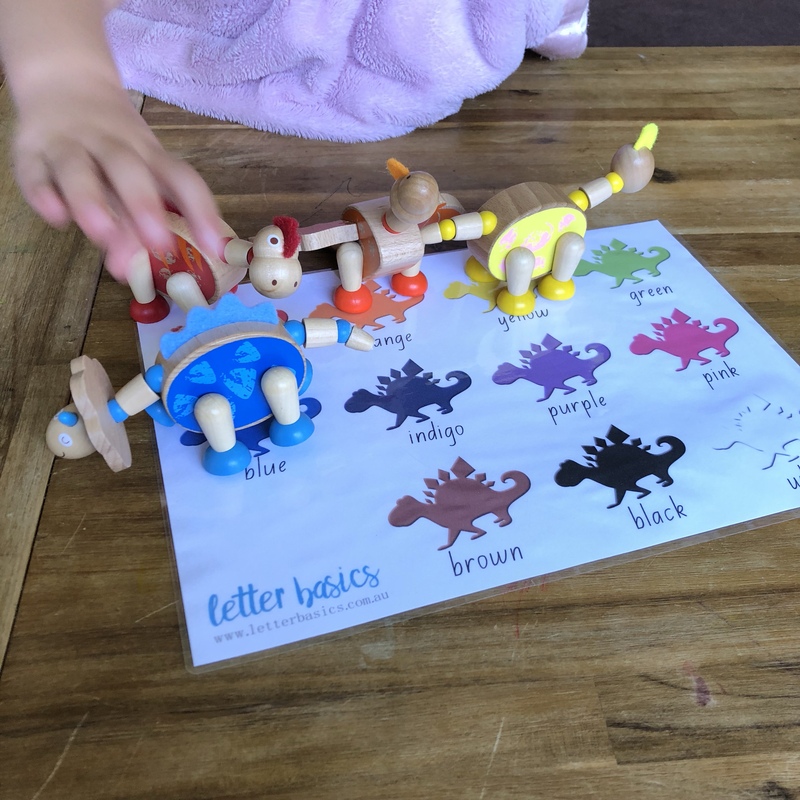 We matched up duplicates, practised saying their names and felt like Dino pros by the end of it! 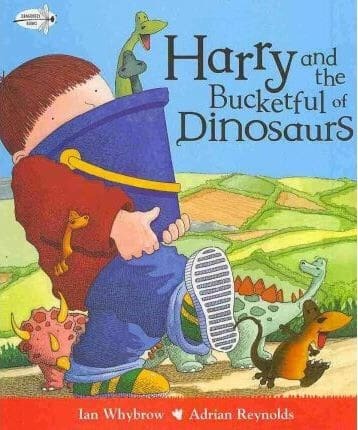 Another time we read ‘Harry and the Bucketful of Dinosaurs‘ we spoke about the importance of looking after your belongings and being attentive to them especially when out and about. The last time we joined Harry on his dino adventure, I focused my attention on pointing out the different emotions and feelings portrayed in the book. The illustrations captured the feelings of the characters beautifully. The drawings put the text into perspective and highlighted different emotions. Throughout the story, Harry found himself reacting in different ways to different situations – often in ways that I have seen my girls react in very similar situations. Miss 4 and I spoke about these emotions and in some cases alternative behaviours that Harry could demonstrate himself. Sometimes it is easier to recognise and suggest alternative behaviour from the outside looking in. This can make it easier in the moment to act out the alternative as it has already been practised theoretically. This is known as being a social story. Outlining the expected behaviour through play can help a child develop a stronger social understanding. There is a scene where Harry tips his cereal bowl over his sisters head as he doesn’t like what she said to him. Miss 4 came up with a few alternatives to this behaviour that Harry could have demonstrated. Another little something special that stood out for me was how Harry valued his toys over a video. Something we can hold, carry, smell, take on adventures and interact with is so much more valuable than a video. 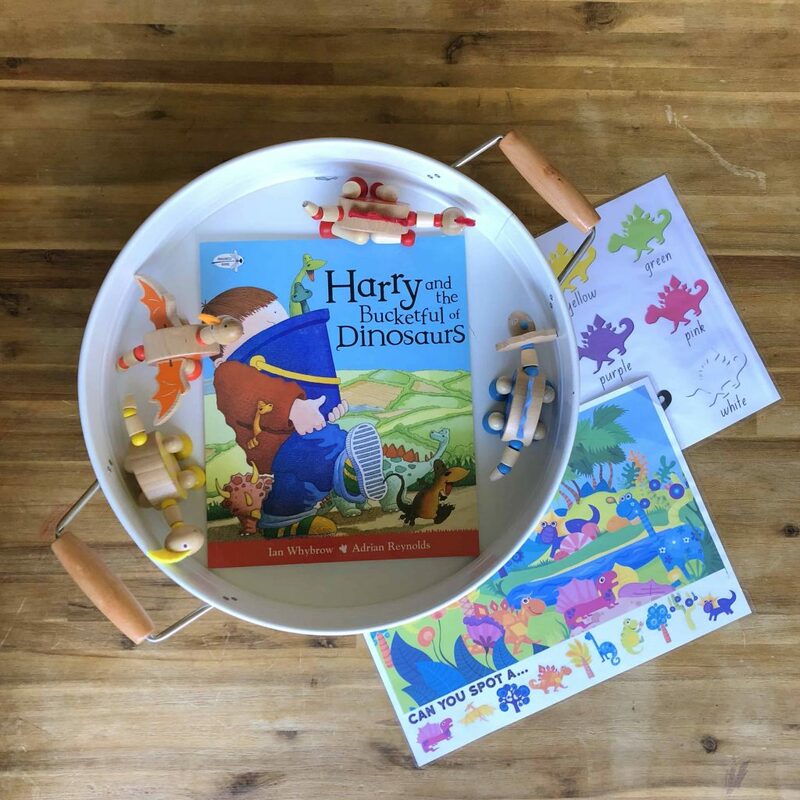 Harry and the Bucketful of Dinosaurs really is a wonderful story, full of conversation starters. I am certainly grateful to have it in our little library. 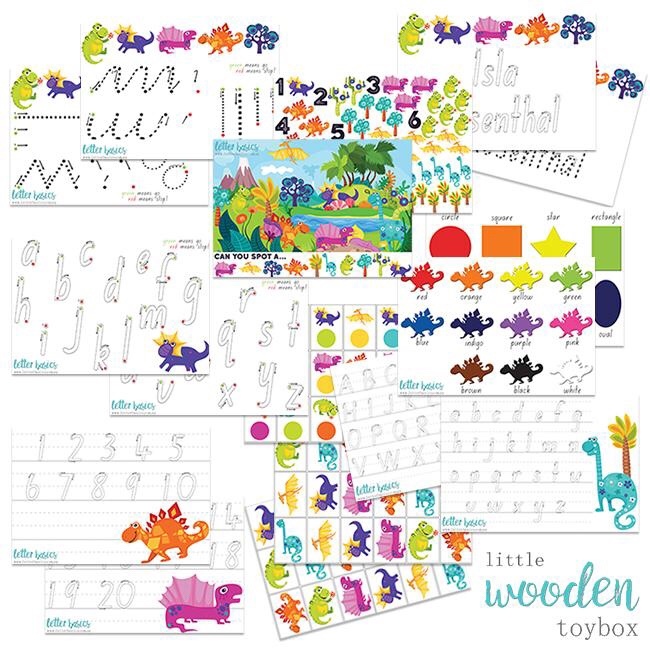 Checkout these Dinosaur themed learning resources! 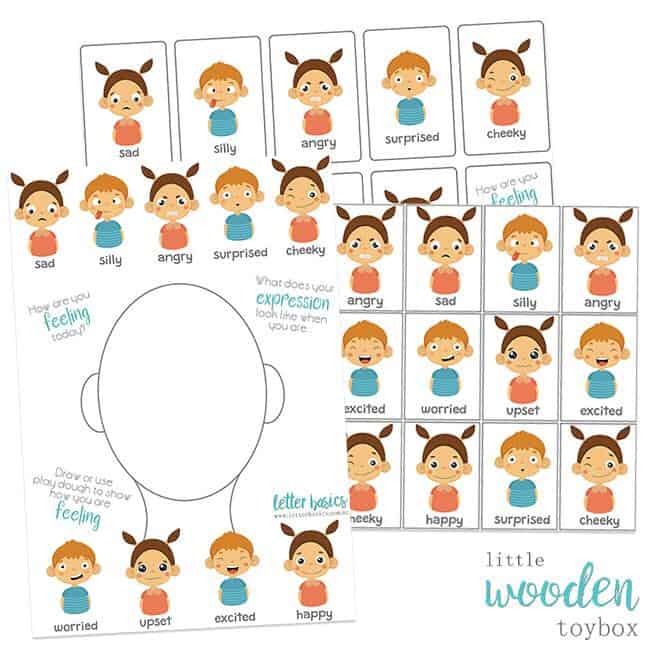 Continue your conversation about Emotions and Feelings with this Emotions Activity Pack! It certainly is a favourite at our house. Miss 22 is becoming very passionate about dinosaurs. She loves looking at the inside pages which are full of dinosaurs and their names. Do I let the children play on my smartphone? No, neither of the girls have screen time other than FaceTiming family or showing them an odd picture here and there. 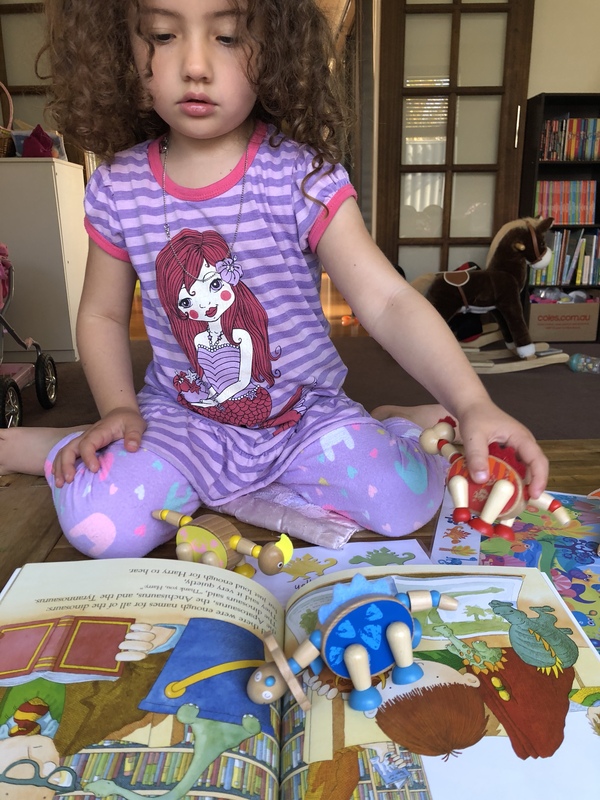 If there is anything in the world I could give to my children it is a love for books and learning. I agree with you 100%- books are the best for kids. This looks like a great playbook and in fact, it helps kids to learn too. I used to LOVE dinosaurs as a kid and would have LOVED this!! We are expecting our first kiddo (a little girl!) in just a few short months and I cannot wait to be able to do things like this with her! This looks awesome! My son absolutely loves dinosaurs. I’m sure he would love this, I’ll have to look into getting it for him. Thanks for sharing! Looks like a great book! I love the way you also turn it into a learning experience/conversation. i think it is so important to spend this time with your little one. 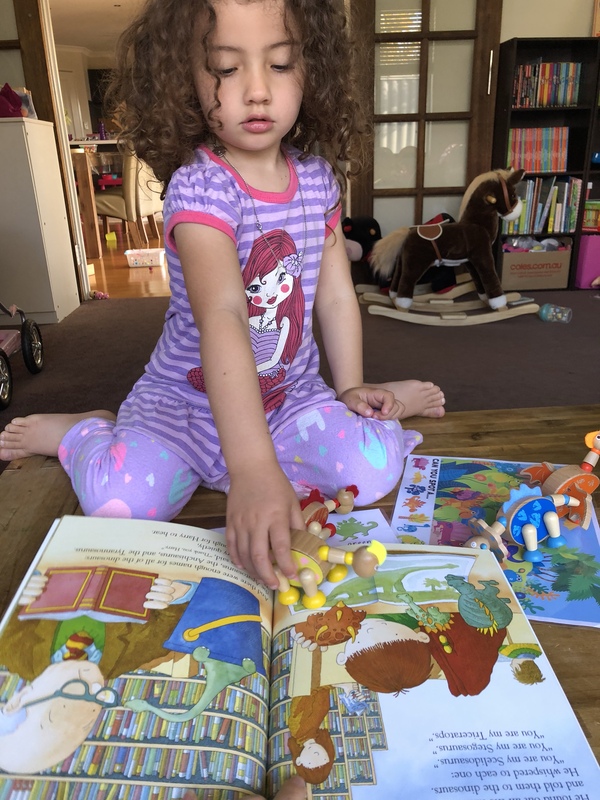 Books really are amazing tools for learning as well as entertainment. It really is a great book! This sounds like a really engaging book. I like that it’s entertaining and offers you opportunities to have different conversations with your kids. It really is a great story for the whole family. You can keep conversation lighter for the younger kids or really dig deeper for the older ones. Sounds like a good book! My niece would love this. I like that it will help to discuss about emotions too. 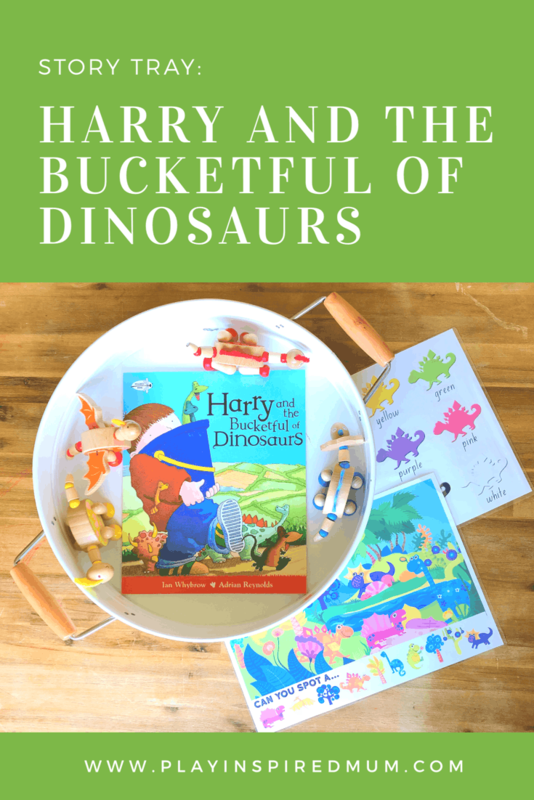 Harry and the Bucketful of Dinosaurs is one of our favourites! Emotions are certainly something that is important to discuss with our mini people. This makes it fun and relatable. This is such a neat idea for kids. 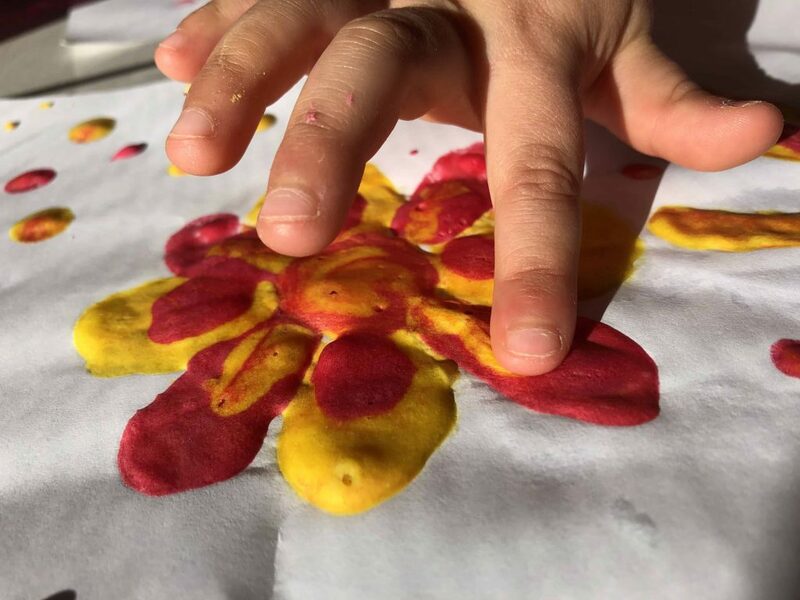 So good to teach responsibility and a love of learning and connection as well. I love it. Thank you! Yes, a love for books and learning is such a precious gift to give to a child. It’s pretty mind blowing to think of the number of books that would have been written between each generation. Thanks for stopping by! I need to get this book for my baby girl. She would enjoy it!! Great post! Yes! It is a must have for every little persons library. Thank you for your kind words! 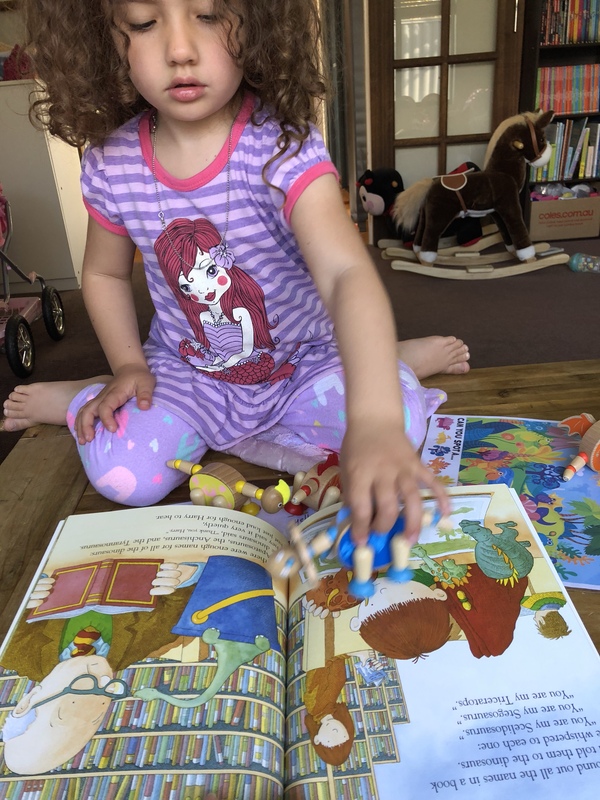 My three year old daughter loves books and she loves the experience even more when we are involved playing while reading. We haven’t read this book together but I definitely want to add it to our collection. Books are amazing aren they? 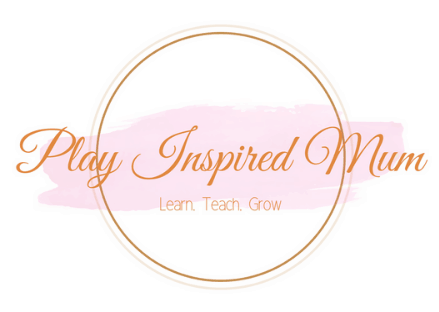 Bringing them to life through play as you read offers so many more opportunities as well as forging memories that will last a lifetime! I love love love how interactive this story book is! 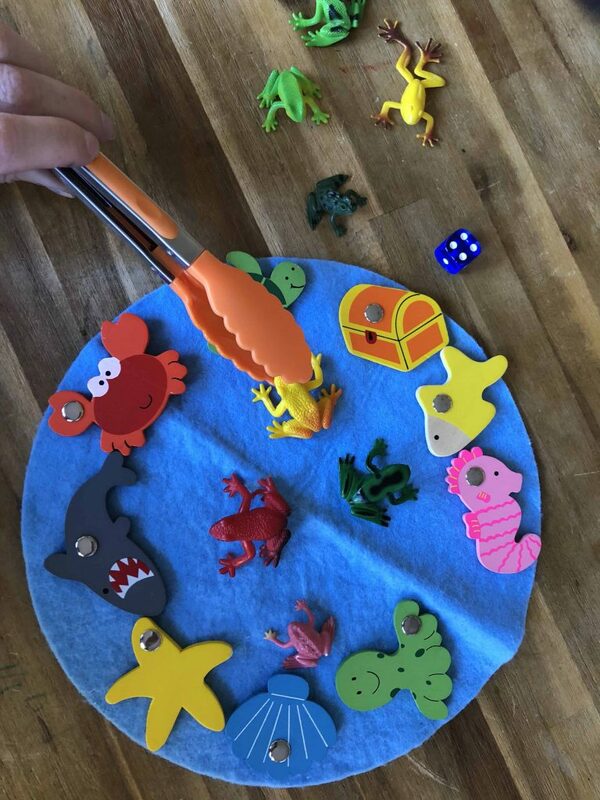 My toddler really enjoys me reading to him but i think this would be much more interesting to him since he can be a lot more involved in the process. Also, great way to learn and expand their imaginations! Toddler really are like sponges aren’t they? So thirsty for information! 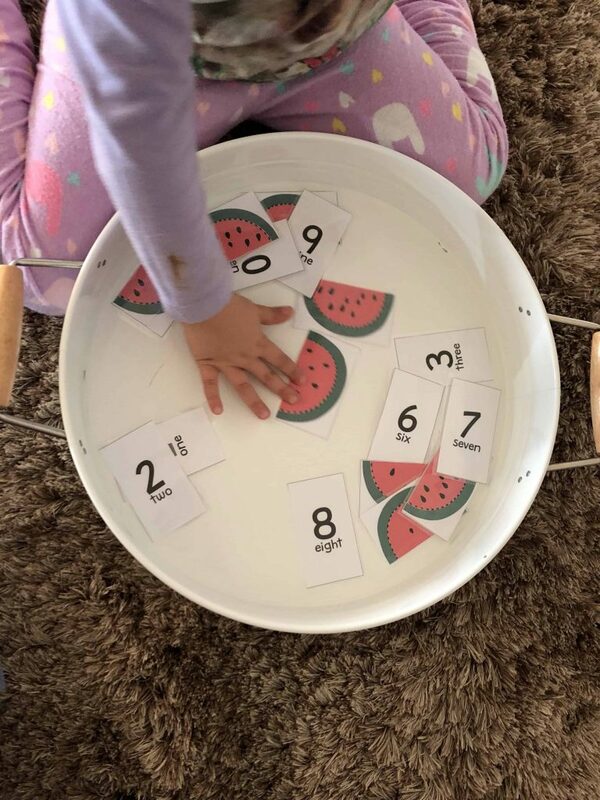 I love the idea of a story tray, sounds really interesting for little ones. Love the book too! What a wonderful playbook!! I’m sure this will be loved by my nephews who are currently in the US! I will share this one to my sisters! It really is a great book. I recently found out that Harry and his Dino’s are also featured in other stories too!